Caroline Wozniacki is keen to end the season in style by winning next week's WTA Finals in Singapore. The Danish player won the end-of-year competition in 2017 before triumphing at the Australian Open nine months ago. French Open champion Simona Halep has withdrawn from the competition because of a back problem while Serena Williams is struggling for form and fitness. Naomi Osaka defeated Williams in last month's US Open final, while Angelique Kerber beat the veteran American player in the Wimbledon final. World number two Wozniacki will open her campaign against Karolina Pliskova and is 1212/1 to win the WTA Finals outright, while Kerber can be backed at 1212/1 and Osaka at 1212/1. "All the best players are here so there are no easy matches. 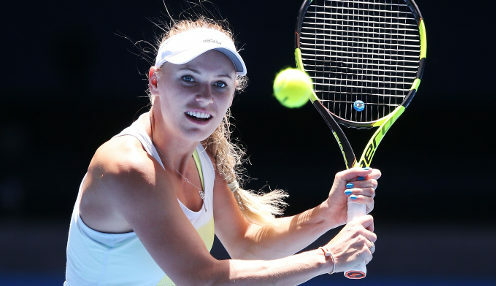 I am just excited to start the competition and do my best," Wozniacki said. "As the defending champion I want to defend my title and end the season on a high." Osaka will play Sloane Stephens in her first match in Singapore and the Japanese player is 2/5 to get her competition off to a winning start.